As most of you know, we have been searching for my grandfather’s published and original work. 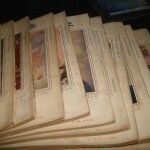 About 6 months ago someone kindly gave us the link to a Chinese Book Seller’s Website. 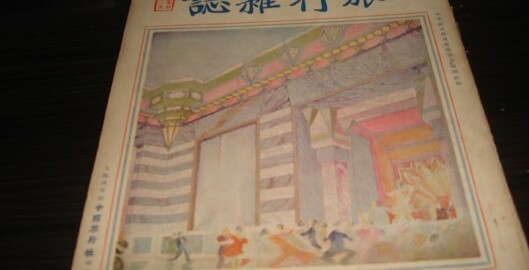 We were able to purchase a copy of Eastern Miscellany that focused on the West Lake Expo of 1929. 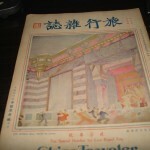 We had also found a seller who wanted to sell his copy of China Traveler Vol 3, Issue 4, 1929. 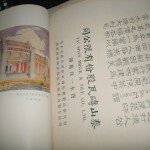 We were very excited to find this particular volume as it was a special volume dedicated to Liu Jipiao’s work. We had a friend in China contact him to see about purchasing the magazine. He told our China contact that he didn’t want to sell just the one issue but the entire year! We were upset because he advertised the one issue online and then when he heard the buyers were from America he changed his mind and tried to sell us the entire set. So we decided to wait several months and have another Chinese student contact him to purchase the one copy only. But the seller still refused to sell anything but the entire year. After several rounds of negotiations we decided to purchase the entire year. It just arrived a couple weeks ago. 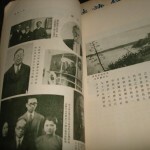 Not only did we get the Special Edition of Liu Jipiao but there is another month dedicated to the Westlake Expo, Hangzhou 1929. 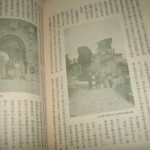 It is comprised of photos of the pavilions and travel stories from people who had attended the event. A special thanks to Weng Tongrun for making initial contact and Fu Ji and her mother for negotiating a final price that got our new acquisitions to our home safe and sound!